As promised I’m showing off "before" pictures of another room in my new house. I’m sure you all remember the Purple Pooh Room; now it’s time to show off the Battle of the Sexes Room! This is the other spare bedroom in the house and it will become the guest bedroom. I’m upgrading my bed from a full size to at least a queen, so my current bed set will be going in here. *Note: All the rooms in my new house are not painted crazy colors, just the spare bedrooms and guest bathroom…Maybe they didn’t want guests staying over, so they painted the extra rooms crazy colors to scary them away? 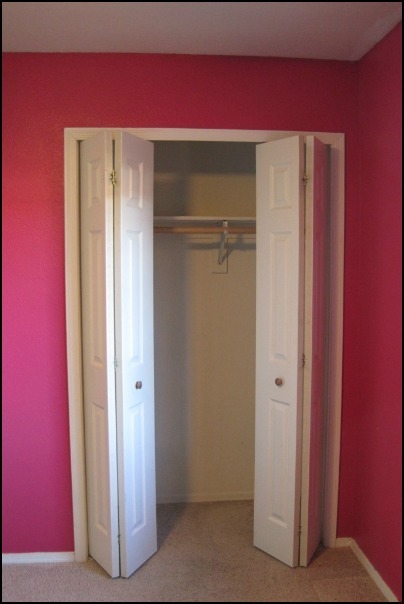 If you look past the bright pink, this room has a really nice closet and is a decent size. 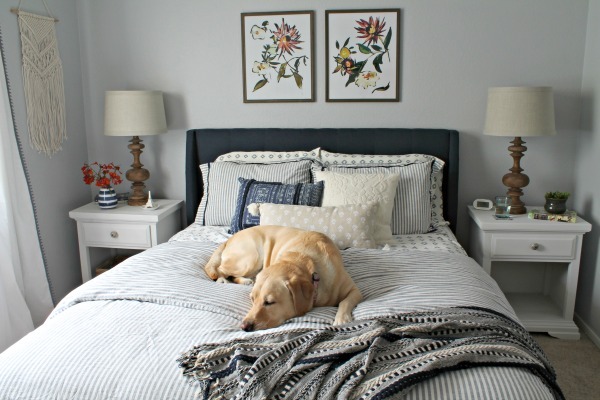 Tomorrow I’ll be sharing my plans and inspiration pictures for this room. 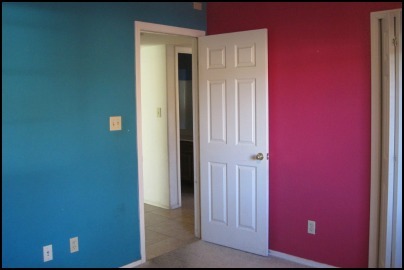 I’m choosing sides…will I go with the blue or with the pink? 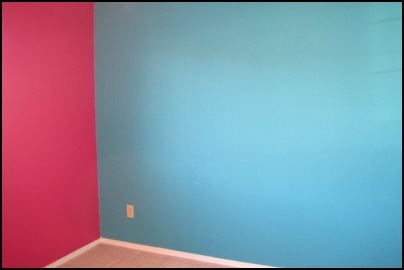 Oh, my gosh, the color choices in those rooms; makes you wonder why they picked such bold colors! Can't wait to see what you choose! Just to let you know I am following you back from the blog hop. Wow! Looks like you have a lot of 'cleaning up' to do around there. What is this anyways?! Looking forward to seeing what all you have in store :) Thanks for stopping by my site earlier, really glad you did! I'm a new follower from Follow Me Back Tuesday. I'd appreciate a follow back. Thanks! Thank you for the follow! 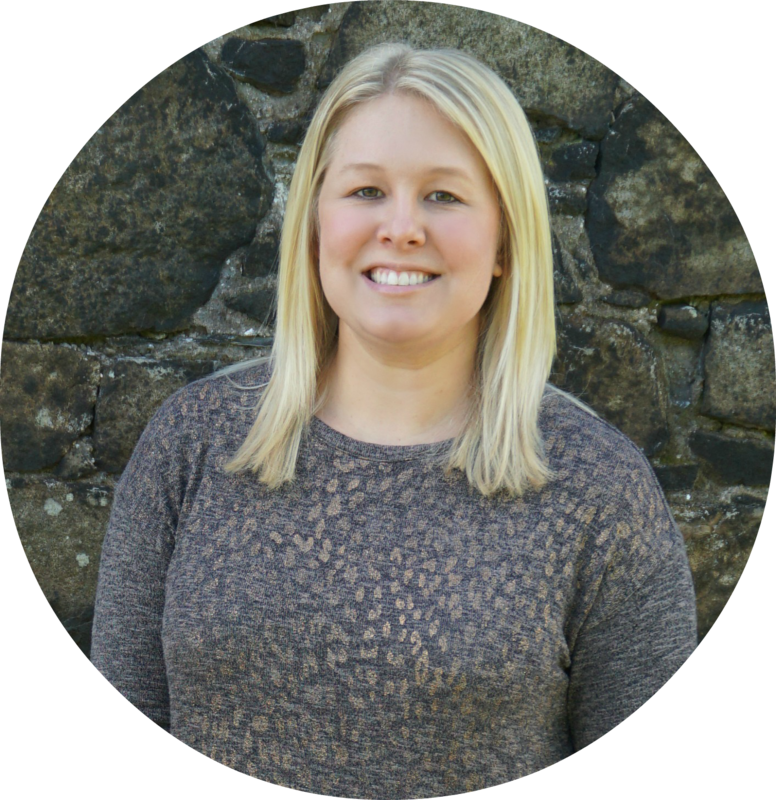 I'm a new follower via FMBT! Sweet blog! I love both of those colours, but not in the same room like that! Hope you have a lot of fun doing everything up! oh my; WHY would anyone use colors like that?? Love your inspiration ideas. We are in the process of re-decorating our master a little bit. I keep looking at bedding, there are SO many choices, I can't make a decision!